Advertising will never stop since it is the fuel of every business. So, to enhance this fuel, Facebook has recently announced its Automated Rules as it’s latest advertising feature. Anything that is automated saves time, man-hours and energy and it is the case with Facebook automated rules. It also helps advertisers in managing their efforts in the right direction and monitoring their campaigns by applying specific rules so certain sought out conditions within a campaign, individual ads or ad sets. You constantly find yourself tweaking and analyzing the performance while running your ads, right? This is exactly why Facebook decided to automate in order to save you time and energy. And hece arrived Facebook Automated Rules. Facebook automated rules have put the control back in your hands and now the work of constant checking and tweaking will be carried out by the automated rules of Facebook. Let us understand Facebook automated rules to being with. 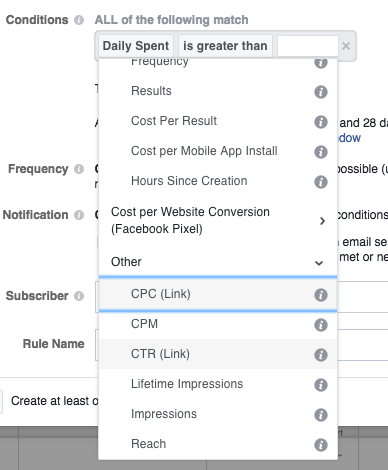 Monitoring of Facebook ads isn’t an easy task at all and it is the same with campaigns as well. It is a lot of manual work of figuring out what is working and what is not depending on the specific requirements of the person posting the ad. What if your target audience isn’t converting as you had expected? 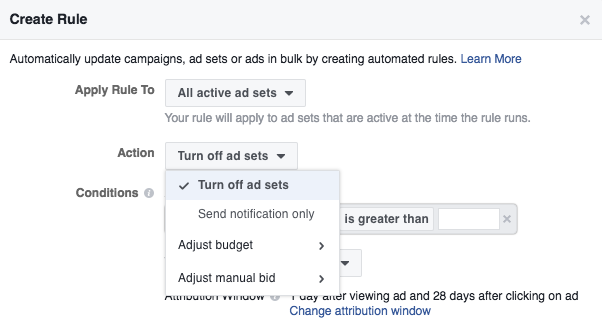 The automated rule feature allows you to set a rule, which aligns with your ad’s performance, that it should automatically change the settings if your ad did not perform the way it should originally. 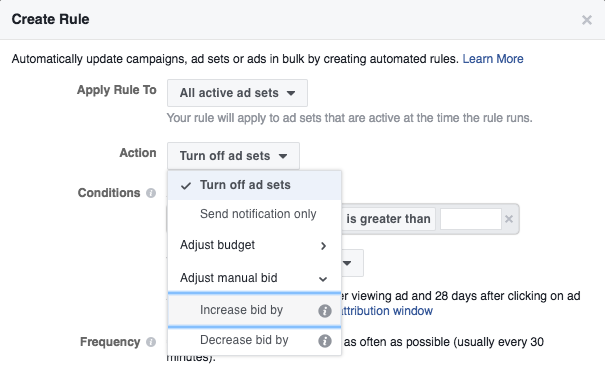 Say, for example, if your ad is not doing well as expected, the automated rule will change the bid or budget, or if you have spent something in excess per conversion, the automated rule will pause or tweak the campaign. You can set the rules in the ads manager itself and if any automated rule takes over your manual settings, you will be notified via email. The reason why you should incorporate Facebook automated rules in your business – the profit point of view. It is clearly impossible that you start a campaign and let it roll after it has begun. In one way, it can be done but all your campaigns will not perform equally and this is where you should incorporate the rules. You might need to increase your budget in some, lower in other or may be stop a set entirely depending upon the situation. 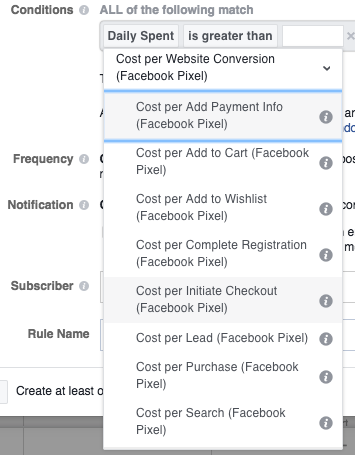 So if you view this scenario in a larger picture, you will realize that if you run a lot of Facebook ads, you need a system that is in place to do the tweaking of your ads on your behalf, in this case, the Facebook automated rules. 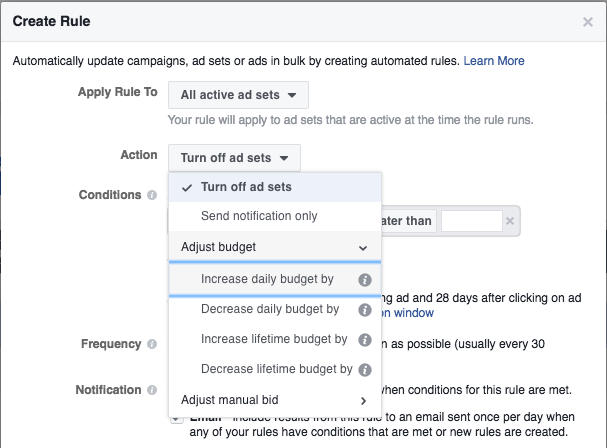 So if your ads aren’t performing well, you can set the rules whether the cost per conversion need to be revised or it is something else. This doesn’t mean you need to rely totally on automated rules, but this means that it saves you a considerable amount of time. So, the question arises that what can you automate using the rules? 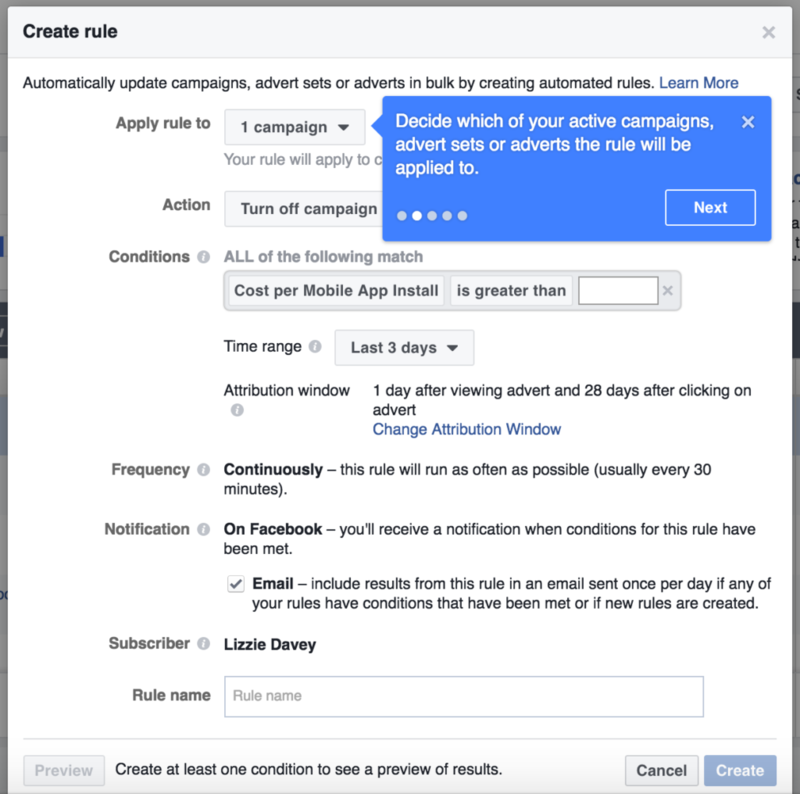 Turning off campaigns, ad sets or ads. Adjusting budgets of the ad sets. Adjusting the bids of the ad sets. Here are the key things you need to know about the Facebook automated rules. 100 rules are allowed on one ad account which includes both active and inactive rules. A single rule is applicable to around 200 separate objects. 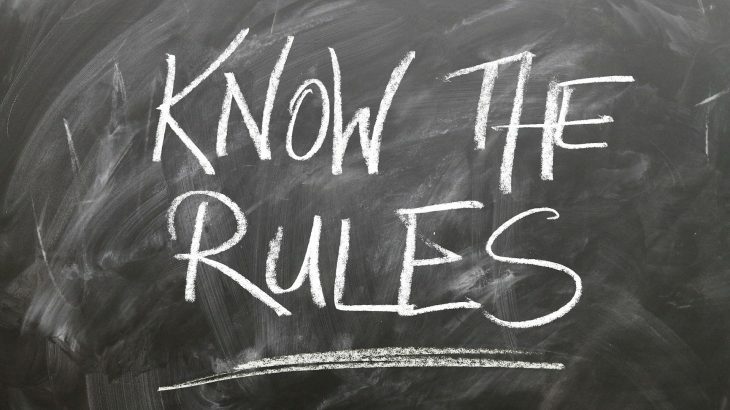 Each rule can have multiple conditions but what is mandatory is that it has one and only one condition type. 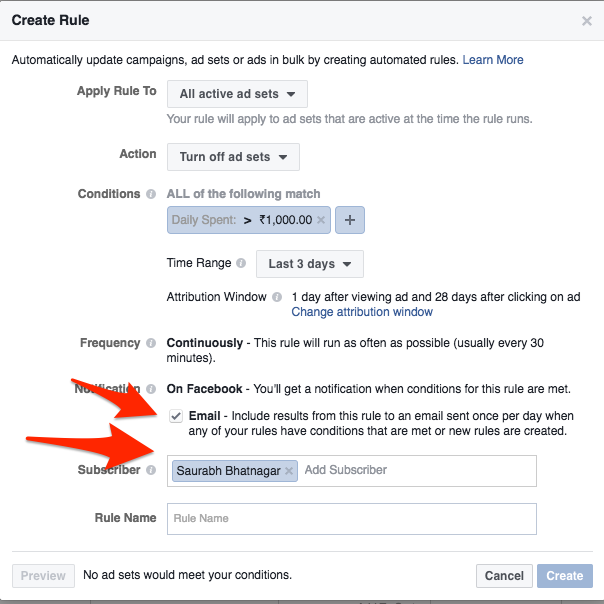 You can manage your automated rules in the ‘Manage Rules’ section in your Ads Manager. Let’s learn it in simple steps. Go to your Ads Manager or Power Editor. Check the box next to the campaign you’d like to create a rule for. Click on ‘Create Rule’. This kind of a window will appear where you can set up the rule. Now click on ‘Apply Rule To’ section and choose the place where you want to apply the rule. 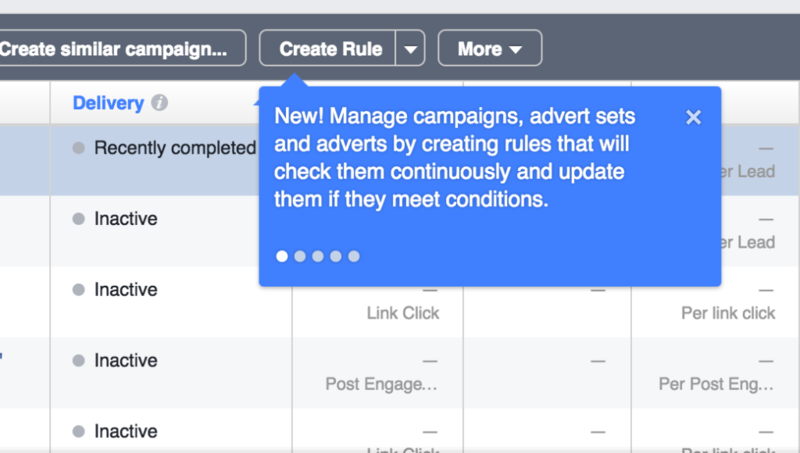 Here you can select any Campaign or Individual Ad Set or Individual Ad to apply the Automated Rules. Go to ‘Action’ section and choose the action that you want the rule to perform when your campaign meets the conditions. See the Following 3 Screenshots to check the kind of ‘Actions’ you can set. And then you can finally choose what condition should be met. You can enter a manual value in front of Greater than/ Smaller than/ in Between/ is not Between. You can add multiple conditions. Click the Plus sign after adding First Automated rule and add another rule. You can opt to receive notification via mail in addition to receiving notification on the platform (Facebook) itself. If you have more than one person in your ad account, you can add subscribers to the rule so that they get notified in case any changes are made. You can name your rule and then click on ‘Create’. This ensures your rule is active. And you can track the activity on the rule you created in the Automated Rules section of the Power Editor or the Ads Manager. Automation is the new wave this generation will experience and it is not long before you can see why it is the same with Facebook Ads. But one thing is for sure, you need to constantly monitor and optimize your efforts in order to generate results from them. 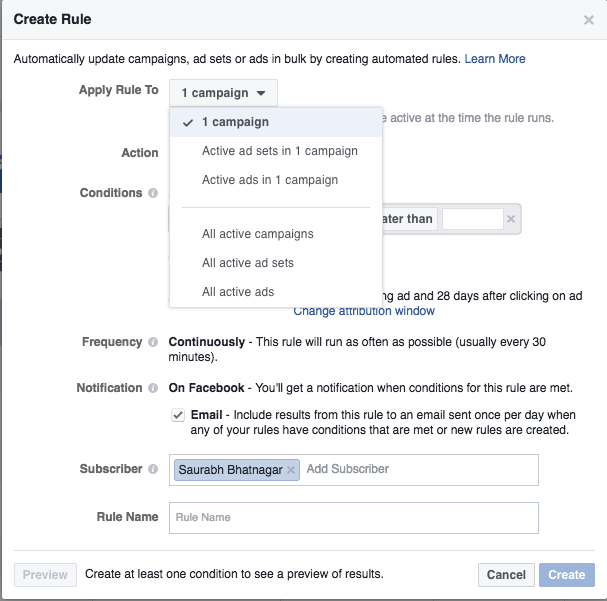 Facebook Automated rules make it lot easier to assign specific conditions for campaigns, individual ads, and ad sets. So, it has proved to be one of the biggest time saver in the online advertising world. Please let us know your experience with the Facebook Automated Rules and how it has benefitted you in comparison to the manually regulated effort that was required earlier. 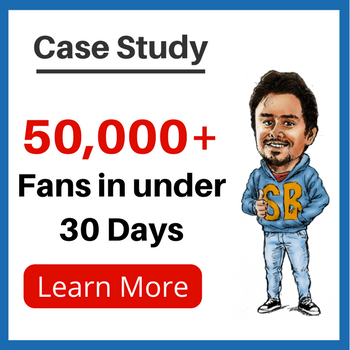 I did a Special Webinar Training on how you can Setup and Profit from Facebook Automated Rules. 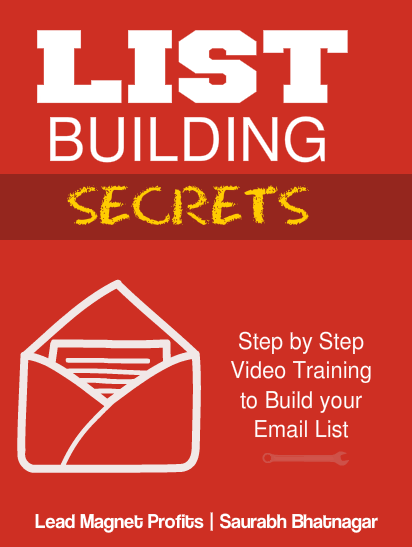 You can Signup for Free and Learn from the Training to make it work for you. Internet Marketing is what I Love and I feel done only when I finish my Work. Favourite Pastime - Playing Cricket & Football. 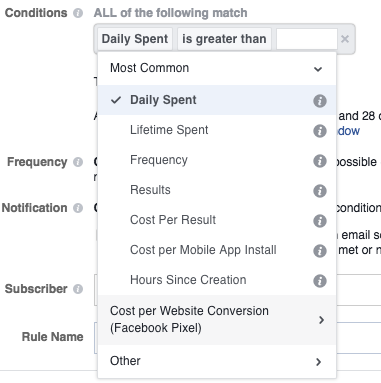 What is Facebook Custom Audiences and how to use it?